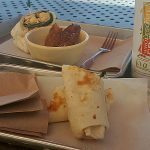 Looking for a delicious vegetarian restaurant in Orange County? Barbonzai is an excellent choice. Barbonzai is not entirely vegetarian, but it’s mostly vegetarian. When I ask a server what they recommend for a vegetarian, they usually have to think a moment and then come up with a few items. However, that is not what I experienced at Barbonzai. Before I even mentioned that I’m a vegetarian, the served told me that most of the menu is vegetarian. She then pointed out the few meaty items on the menu. It was a wonderful experience to have so many choices! Flatbread and pita bread is made in house and it is delicious. 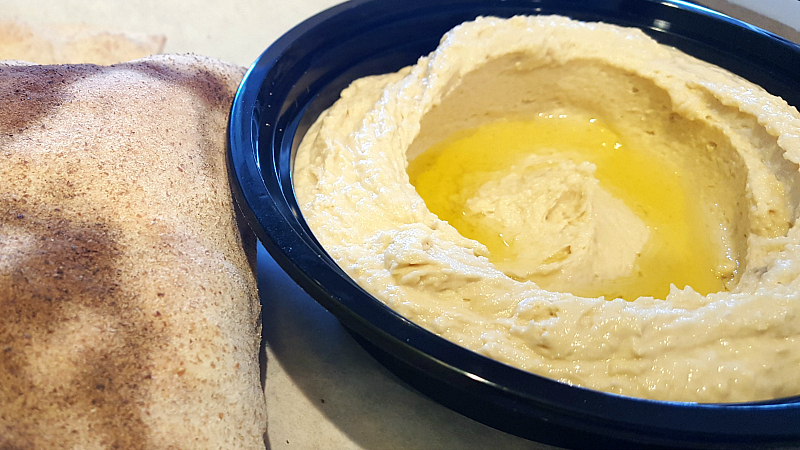 We started with hummus, a labne yogurt dip and fresh pita. If you’re with friends, I’d recommend ordering a few starters to share. The flavors are great and perfect for sharing. Staff was super friendly and was happy to answer all of our questions. Hence, we ended up trying new things based on their recommendations. 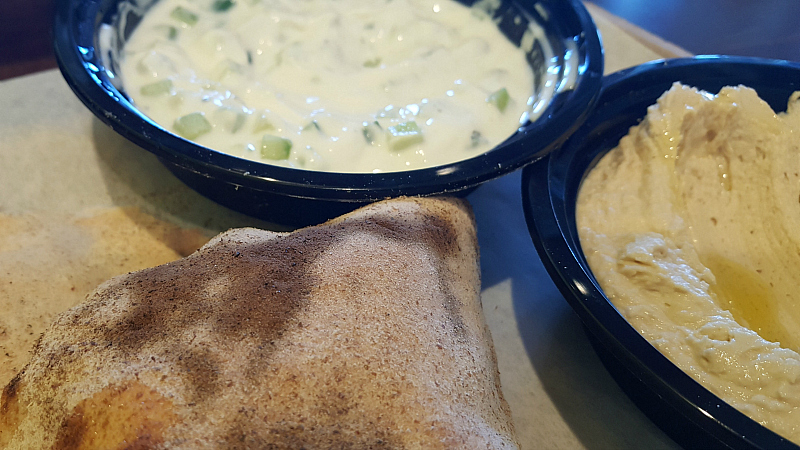 There is a good selection of falafel and flatbreads on the menu. 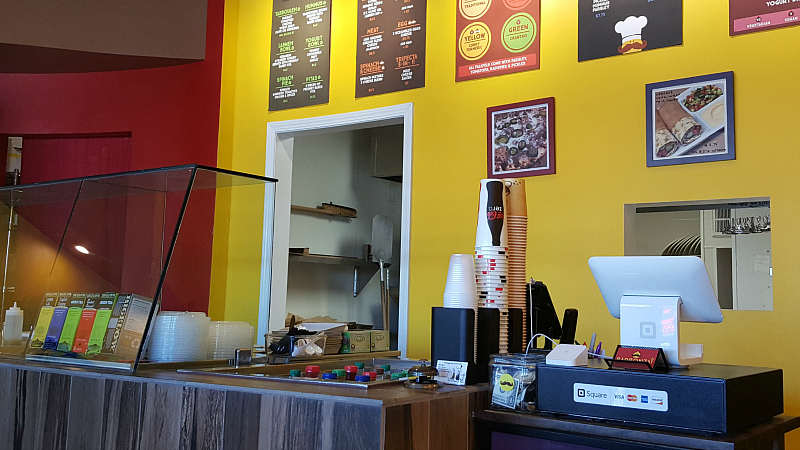 If you’d like to eat something especially unique, you can choose your own toppings and create a personalized flatbread. 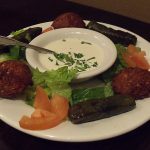 Falafel are available as wraps or bowls. 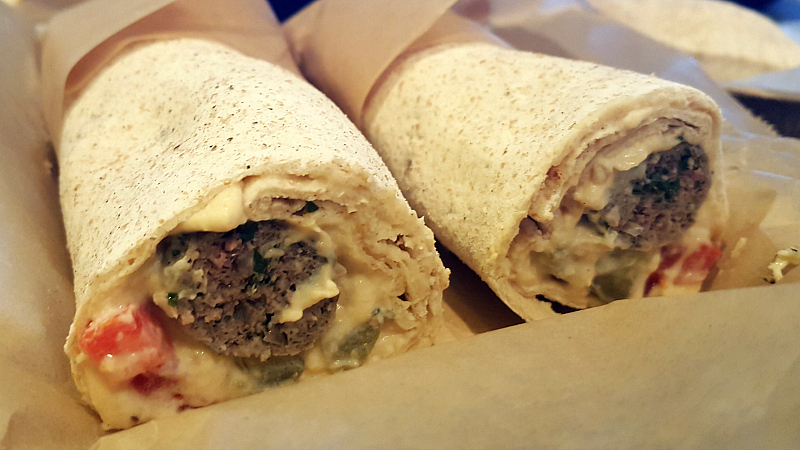 We chose wraps, because we wanted to enjoy the house made flatbread. 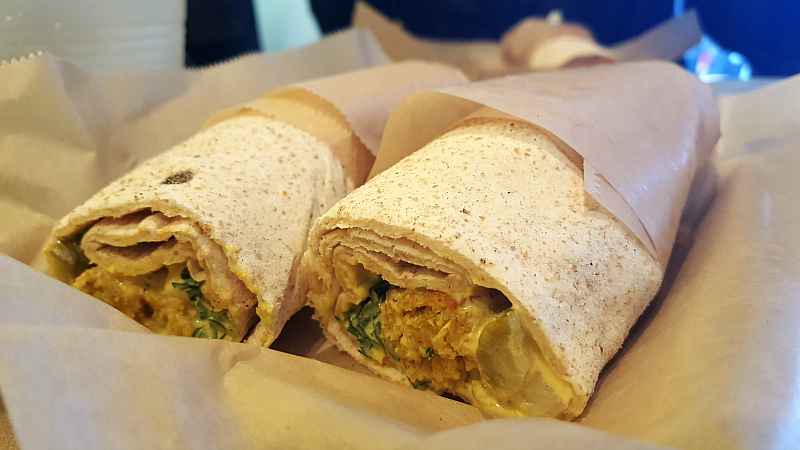 The falafel are clearly made fresh, rather than frozen or some sort of commercial mix. The flavor and texture are excellent! 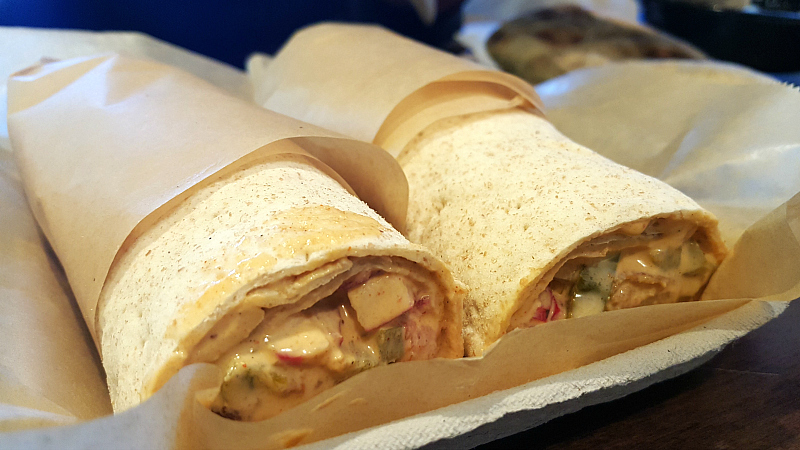 If you can save room for dessert, they have some tasty options for sweet wraps. We shared one with Nutella and another with Lebanese fig jam and walnuts. 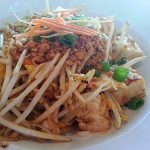 Barbonzai serves up tasty food in a comfortable and casual atmosphere. Portions are big and prices are reasonable. 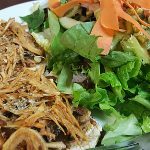 This is a fantastic vegetarian restaurant that happens to serve some meaty dishes.